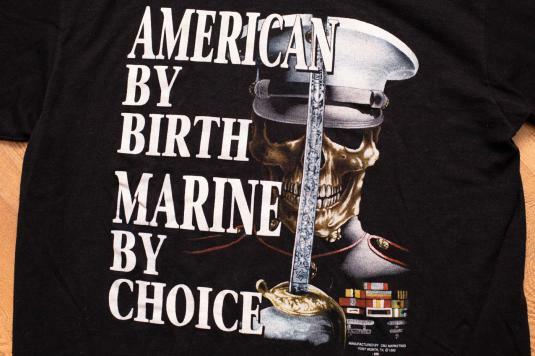 True vintage 1990s 3D Emblem "American by Brith, Marine by Choice" skeleton graphic t-shirt; made in USA. It is in excellent vintage condition and seems to have been worn very minimally. Actual Size: Modern M? – Length 28" – Pit to pit 19.5"